RAY Walker is one of WA’s leading professional guitarists/educators with a career spanning almost 50 years. He is versatile and accomplished in many genres of music including Classical, Popular and of course Jazz, for which he is best known. 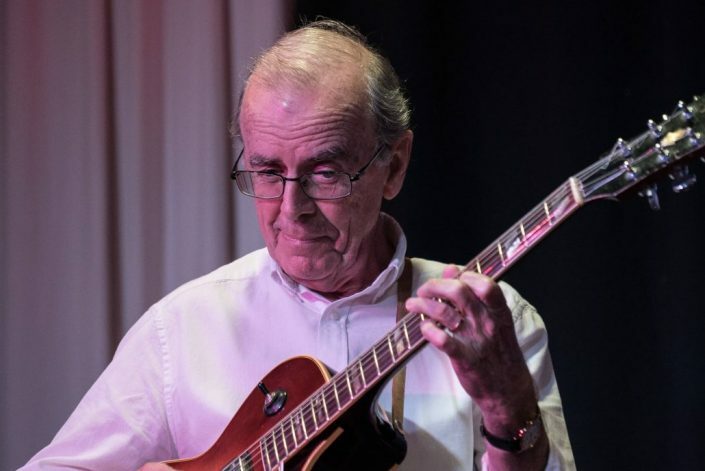 For many years he has appeared as a ‘casual’ with the WA Symphony Orchestra and on two occasions was invited to perform with the Malaysian Philharmonic in Kuala Lumpur. 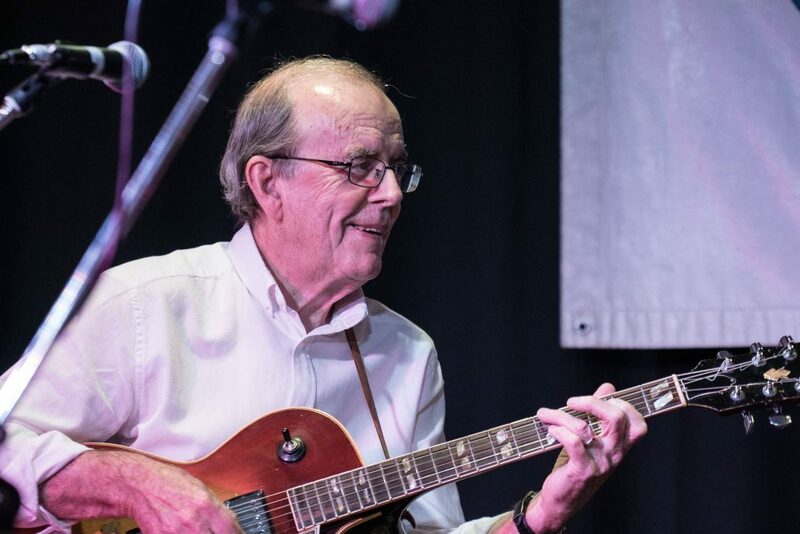 Ray has appeared with the late Emily Remler, Doug DeVries, Martin Taylor, Gary Potter and James Morrison. In 2000 Ray recorded an album with well known guitarist John Pisano in Los Angeles which was launched at the PJS in 2001 and released internationally on the Jardis label. 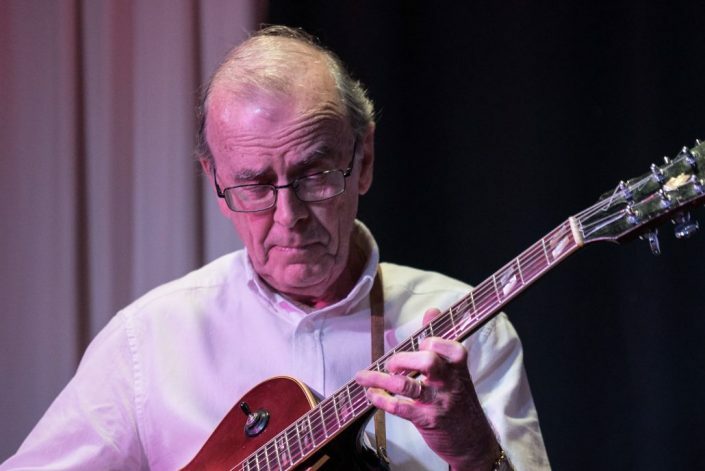 A lecturer in Jazz Guitar and Improvisation in the Jazz program at WAAPA since the inception of the course in 1984, Ray retired from his full-time position in 2005 but is still involved in a sessional capacity. 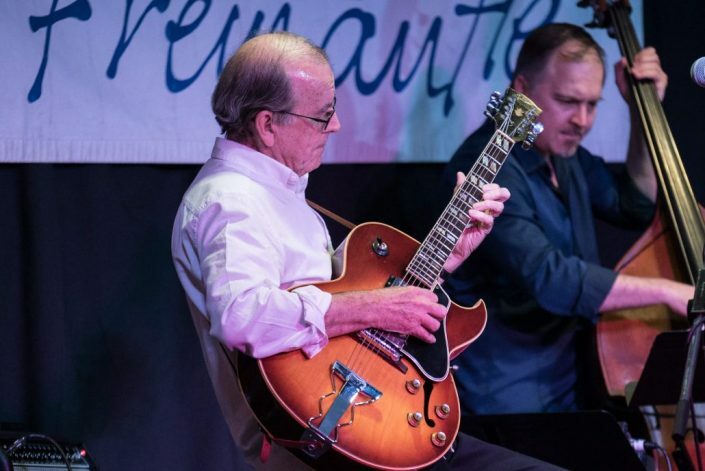 For tonight’s concert Ray will be joined by Mike Nelson (piano/keyboards) Pete Jeavons (bass) and Ben Vanderwal (drums) to present a program of jazz originals and standards which promises to have something for everyone! 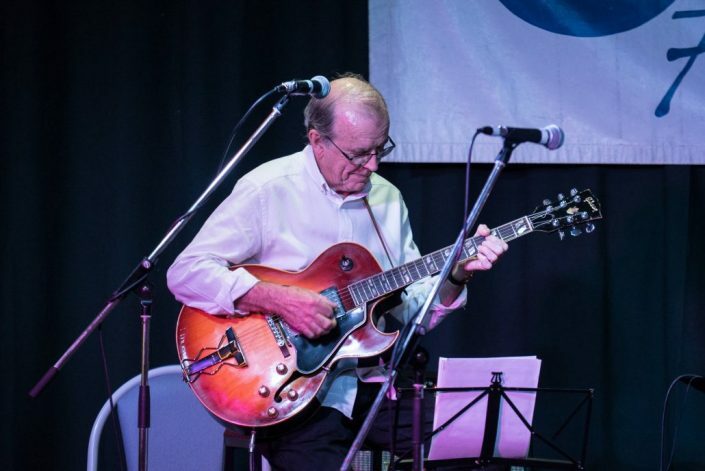 In 1984 Ray joined the faculty of the West Australian Conservatorium at Edith Cowan University lecturing in jazz guitar for 20 years until his retirement in December 2004. He continues to teach there on a part time basis. In 2000 Ray was invited to Los Angeles to record a CD with JGSWA Patron John Pisano. The CD available from Ray is titled “Affinity” on the Jardis label. 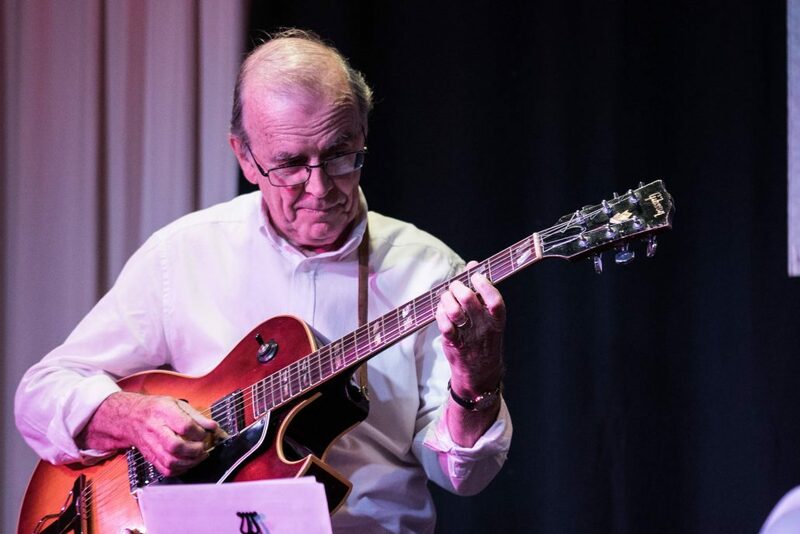 Ray has played with many visiting guitarists to Perth including Joe Pass, Emily Remler, Martin Taylor, Peter Leitch, Gary Potter, Ike Isaacs, John Pisano, Mimi Fox and many others. Yes I am keen to photograph your concert.